Controversial Marine Corps Study On Gender Integration Published In Full : The Two-Way Critics blasted the Marine Corps for not publishing its full study on how gender integration affected combat readiness. NPR obtained the 978-page report. 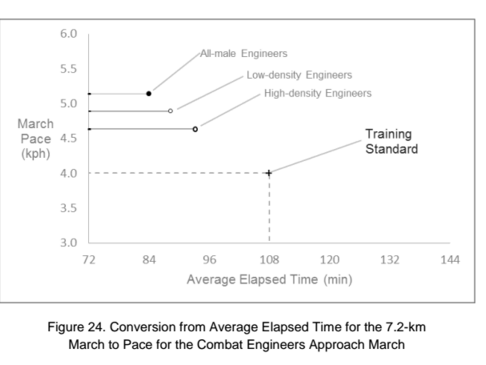 In September, the U.S. Marine Corps released a four-page summary of a yearlong study that found that all-male units were faster, more lethal and able to evacuate casualties in less time than mixed-gender units. The study, which can be viewed in full below, was bashed by critics for being biased. NPR was able to independently obtain the full 978-page Marine Corps study. Several key findings are below. NPR's Tom Bowman reports that the study — marked "pre-decisional and not releasable under the Freedom of Information Act" — was the basis for a recent decision by Marine Corps Commandant Gen. Joseph Dunford to recommend that all infantry jobs be closed to women. Dunford, who has since been elevated to chairman of the Joint Chiefs of Staff, made the same recommendation to Defense Secretary Ash Carter, according to Pentagon sources. Carter's decision on the issue is expected in the coming weeks. The Army, Air Force and Navy have recommended that all ground combat jobs be opened to women. The nearly 1,000-page report details the study's methodology, process and findings, something critics pointed out was missing from the four-page summary. In September, Navy Secretary Ray Mabus brushed aside the study on NPR's Morning Edition, charging that male Marines were biased against women. "When you start out with that mindset, you're almost presupposing the outcome," said Mabus, who is the civilian in charge of both the Navy and Marine Corps. Retired Army Col. Ellen Haring also criticized the report, saying, "It was a flawed design from the get-go." 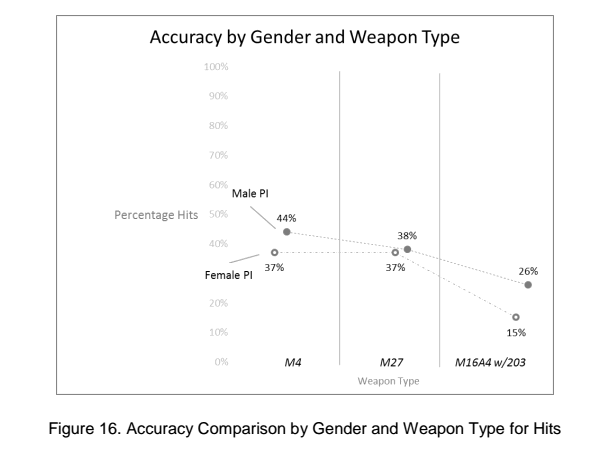 Haring said the Marines' study failed to point out this reality: "You've got some really super outlier women in there that consistently performed at the top level of the top men." The Marines say they did not spotlight any high-achieving women because they work as teams, not as individuals. 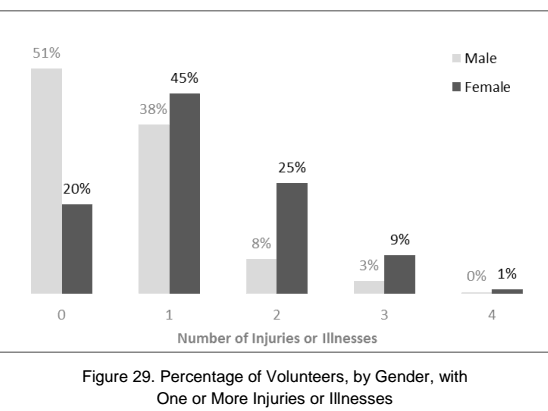 And women may do well on physical tests, the Marines say, but the study found they tired more easily than men, took longer to complete a combat exercise and had far more injuries.